The ability to make a metal alloy product musical is an art which has existed in Pistoia since 1700, an era in which the area specialised in cane organs for religious use. The ability to make percussion instruments such as extraordinarily musical cymbals, bells and the like developed from this tradition. 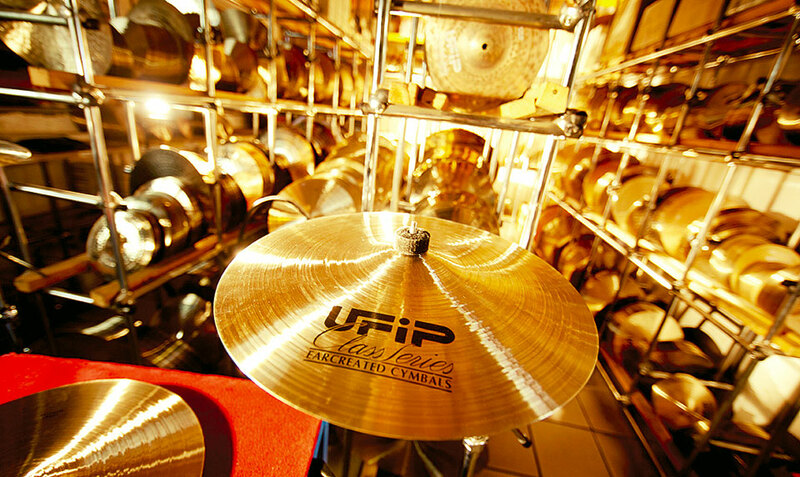 It was the insight of Master Luigi Tronci which led to the UFIP being set up in Pistoia as a merger between four manufacturers and the new company quickly established itself as world leader in top quality drum production and has worked with a number of internationally famous musicians and institutions. The Luigi Tronci Foundation was set up in Pistoia in 2008 with a permanent exhibition of percussion musical instruments combining culture, history and music the world over. Here music lovers can admire, listen to and play all the instruments on display. 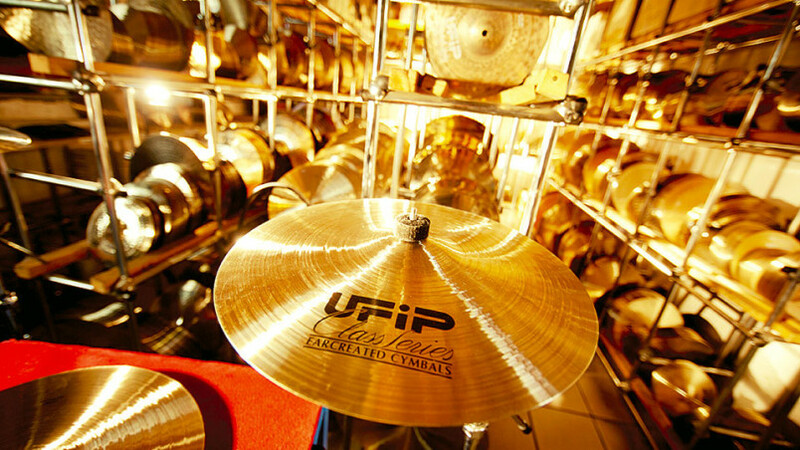 In the picture aside: a display of UFIP plates.